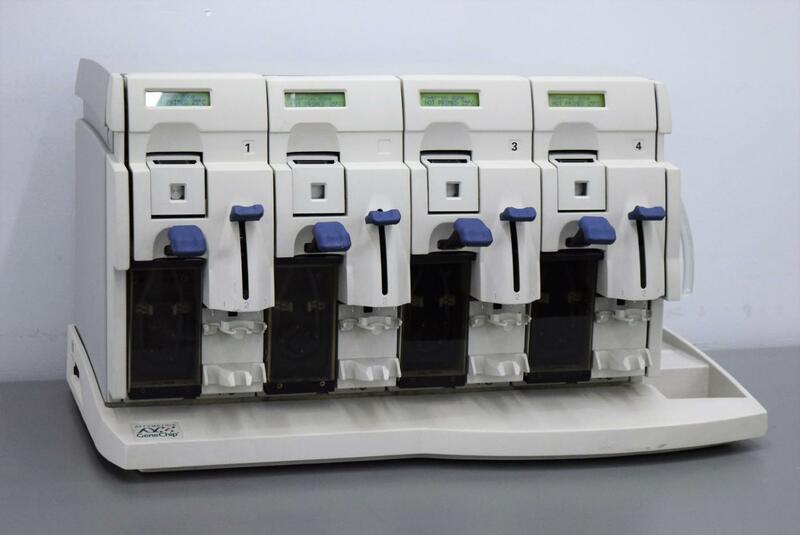 Affymetrix Genechip Fluidics Station 400/450 Liquid Handling Genetics Research . New Life Scientific, Inc. The fluidics station is already upgraded from the manufacturer to a 450 for you. The station is used in the wash and stain operation of GeneChip arrays. This station is fully functional and in excellent cosmetic condition with normal wear and use. No reagent bottles or consumables are included with this unit. The station was connected to a GCC PC, ran PRIME, and DRAIN protocols. The PC recognized the chip engaged and vial installed and operated the pumps. This is a good working unit guaranteed to function properly. Very little cosmetic wear, in good working condition. Clean unit, inside and out.